A second former Siri executive has left Apple -- this time, Siri co-founder Adam Cheyer. He left the company this past June according to AllThingsD, though the departure was originally reported by Bloomberg. Another former Siri executive has left Apple. Adam Cheyer, who co-founded the voice recognition software company prior to its acquisition by Apple in 2008, has left the iPhone maker. Sources in position to know tell AllThingsD that Cheyer resigned back in June to pursue other projects. Cheyer is the second Siri executive to leave Apple in the past year, following CEO Dag Kittlaus, who left in October of 2011. Siri CEO Dag Kittlaus joined Apple with Cheyer when the company was purchased in April 2010, but left Apple back in October of last year. I assume this means: "to swim in a pool of money"
Eh, nothing to see here. You sell a company, you stick around for the transition, you move on. That's just how it is. Guess he realized Siri is an utter failure. June 30th: Siri, has Adam Cheyer left Apple? September 12: Yes, he has! When founders sell their company it is pretty rare for them to stay around for very long. I think it would have been more noteworthy to find out if they had stayed especially if it was very long after their retention programs had ended. In my opinion these guys like working in small companies, sold their tech, and as they said, are moving on to other things. Yet its clearly a female voice so her it is. Moving on. Siri is actually completely asexual; it is an it. Whether you hear it speak in a male or female voice is entirely dependent upon where you are and what language you use with it. 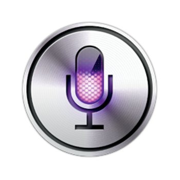 In the US, Siri has a female voice. in several other countries, including Japan, Italy and (I believe) the U.K., it speaks with a decidedly masculine intonation. Add to that the fact that it is simply software, a program running on a piece of hardware, and "it' truly becomes the only proper pronoun for it. So don't be so quick to dismiss other people; especially when they are more correct than you are. Umm.. you [I]do realize[/I] Siri isn't actually a "her"?